With all my education now over and done with it is time to move on and learn a new skill. Morse code has always interested me, and I see now that it’s the new “cool” in UK, with many hams, old and new alike commenting on and undertaking this fascinating segment to the hobby. My good friend John (M0JZK) is always using CW as his primary mode, and has often tried to talk me into getting started. And so John wins. 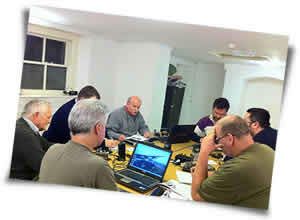 With 13 others we managed to get a new course running in Bath. 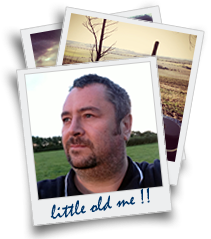 Run by Steve (G0FUW) who also runs the fantastic Bath Buildathon we started in September 2010 and took us each through the letters of the alphabet using the great software form G4FON, and utilising the Koch method. It worked great each week we added up to 4 extra letters including some punctuation. The aim was simple: To get the Morse proficiency certificate now issued by the RSGB by the end of the course. To do this we needed a good CW operator, and someone who was willing to be our assessor. Robin (G3TKF) came to our rescue and along with Steve they took each one of us through the alphabet, and increased the speed accordingly. It wasn’t easy, and some of us fell off quite quickly and others hung in there, but in the end 5 of us managed to pass the 5 WPM examination, and receive a great certificate for our achievement. A couple of us also tried the faster 12WPM examination. With moderate success 1 managed to pass that examination too. As a reward from the Mrs, she bought me the fantastic Begali Opal key for my birthday, I brought it into the class for a couple of occasions where it was duly stroked, fondled and played with. And someone who will remain anonymous even went back for seconds!! !